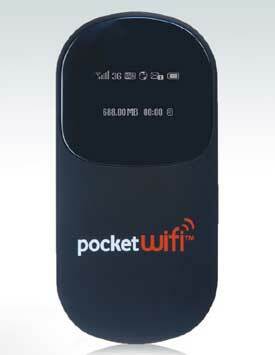 Three have recently refreshed many of their pocket wifi plans and with that update comes a lot of good value for money wireless broadband plans. The following plans are available on a variety of modems including USB and their own pocket wifi device which allows you to share the connection with other devices like iPhones and iPads. The 3 wifi router uses a Huawei E585 (as pictured) which makes it easy to connect wifi devices such as laptops the latest smartphones. As a bonus for ordering your 3 wifi modem online, you will receive a bonus AVG anti-virus subscription for 12 months absolutely free; a necessity for worry free Internet browsing. Click here to view their website and grab wireless broadband deal today! Note 3 just upgraded me on to the $39 plan and gave 14 gig of data a month. $39 plan is now 6 gig of data plus a bonus 6 gig of data for 12 months for free. what 3 did for me was a $49 plan for 8 gig plus 6 gig of free data plus $10 credit each month for 12 months and a pocket wifi modem. so the up shot is $39 a month for 14gig for 12 months then it goes to $49 a month for 8gig there after. Lucky you Craig, I only gets 6GB for $39. However, they should gave me $10 off for the first 6 months instead of 3 (which remind me to call then & dispute the charges). But they just added 5GB for the next 3 months…and then back to $39 for 6GB for another another 3 months, before my contract finished. It’s just a matter of getting a good deal at the right time. And try to negotiate. It worked for me. Especially now that Vodafone is trying to migrate all 3 customers to Vodafone. So use it to your advantage, I got $5 discount off my monthly repayments for my iPhone for migrating to Vodafone network. You just have to be patient, I did. It took me over 1 hour, to negotiates. My 1st offer was declined so I think of another offer and then the consultant has to get approval from the Team leader. At the end of the day, I got something.